The IJSBA World Finals is the world’s premier event for all things Personal Watercraft. Now in the 37th consecutive year of operation, the IJSBA World Finals continues to be the unrivaled showcase of the human spirit in forms of engineering, athletic achievement, camaraderie, and sportsmanship. With our NEW title sponsor, Blowsion, we further underscore the IJSBA’s goal of furthering high performance watercraft competitions. This sport is a mix of human athleticism and human innovation in engineering durable but powerful watercraft. For a second year in a row, the World Finals is brought to you by Blowsion. Blowsion is still the world’s leader in racer free riding Skis, Safety Equipment, phenomenal custom paint jobs, and much more. A company founded by the late John Dady, Blowsion has spent decades working with racers to ensure their products enhance performance, are visually stunning, and that each team member provides the quickest customer response and delivers racing parts directly to their customers. Few companies in the history of Personal Watercraft Racing have been as personalized and dedicated as Blowsion. Please stop in and show your appreciation for their part in bringing you the 37th Consecutive World Finals Competition. The World Finals is centered around the sports of Closed Course Racing, Slalom Racing and Freestyle Competition. Closed Course Racing has a starting line of Personal Watercraft dashing towards a first turn buoy and then navigating several laps through a buoy course. Slalom Racing is a timed event where registered riders maneuver around a buoy course in hopes of having the fastest time in their division. Freestyle has individual athletes demonstrating tricks and stunts during a one or two minute routine for a judge’s score. Professionals, Amateurs, Juniors, and Women’s divisions will all bring hundreds of athletes from more than 50 nations to compete for the title of World Champion. Only the Olympic Games have more individual nations represented at a single venue. For the last several years, Freestyle has returned Saturday night, under the London Bridge to an audience of thousands. The Saturday night show will take place again, this year, October 6th, at sunset. The World Finals contains the world’s only trade show full of vendors showcasing and selling the latest Personal Watercraft accessories and lifestyle products. This event is also where new models are unveiled from the leading watercraft manufacturers. Newcomers and experienced enthusiasts alike will always find something new at the World Finals that will further enhance their relationship with watercraft. Several new products will be released again this year and shown, for the first time, at the trade show portion of the Blowsion World Finals. 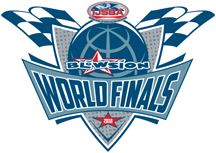 Spectators and participants can find all of the information they need for attendance at the 2018 Blowsion World Finals by examining all of the links at http://www.ijsba.com/world-finals/. Questions regarding the event should be directed to the International Jet Sports Boating Association by emailing info@ijsba.com or by calling +1-714-751-8695 on Monday through Thursday’s from 9:00 Am to 5:00 Pm, Pacific Standard Time.